Inter boss Luciano Spalletti has played down fears of an Ivan Perisic exit after the Man Utd target discussed his ‘dream’ move to the Premier League this week. As noted by talkSPORT, the Croatian international admitted that a move to England still strongly appeals to him, while it has previously been reported by the Evening Standard that the Man Utd transfer target could be valued at around £31m now. 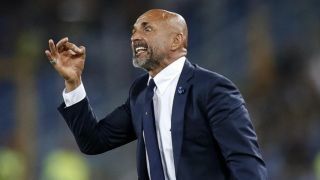 With that in mind, it would seem likely that Inter would have a fight on their hands to keep hold of him, but Spalletti didn’t appear to be too concerned by it when discussing his winger on Saturday. The 29-year-old has had a quiet season so far, scoring just two goals and providing two assists in 17 appearances in all competitions. In turn, perhaps it won’t be such a blow for the Italian giants if he does move on, especially if they get the opportunity to cash in on him ahead of turning 30 with United heavily linked for the past two summers. Spalletti has dealt with the situation well though and in an understanding fashion as he clearly isn’t surprised by players discussing their hopes and dreams publicly, even if it does involve a potential exit from their current clubs. For now though, Perisic has a job to do for the Nerazzurri, as they look to try and push Juventus in the Serie A title race this season while also making a positive impression on their return to the Champions League.